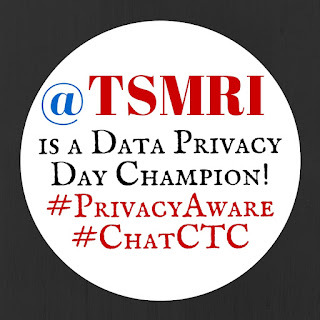 The Texas Social Media Research Institute (@TSMRI) is gearing up for our 5th partnership with the National Cyber Security Alliance's Data Privacy Day. We are an official champion of this day and we join the following universities and organizations in promoting this day - Indiana University, Connecticut College, NC State University, Cisco, and Barry University. This year's theme for the official day (January 28th) is "Respecting Privacy Safeguarding Data Enabling Trust". We look forward to this day each January and we love to involve our students, faculty, and staff.